October 16, 2014 Geren W. Mortensen, Jr. I'm going to ramble on here for a bit... I've just got back from a visit to the audiologist. My visit was for two purposes -- to get fitted for custom hearing protection, and to have a consult about my tinnitus. I have to say that I was really impressed with Dr. Hinduja at Healthy Hearing and Balance here in Westminster. She had a very good understanding of what I needed, what my job is, and why tinnitus is causing me problems at work. And, unlike the otolaryngologist I recently visited, had at least some suggestion of accommodations that may help. Since I don't have appreciable hearing loss, they can't prescribe a pair of those nifty digital hearing aids that can be tuned to mask the sounds of the tinnitus, I basically have to be able to rest and de-stress my ears as needed. And take good care of my ears. Dr. Hinduja did comment on how very clean my ears are. "Clear" was her word, and I was worried that if my ears were clear, there might be light coming through from the other side, but she assured me that there isn't. I guess that means that my brain is still inside there. 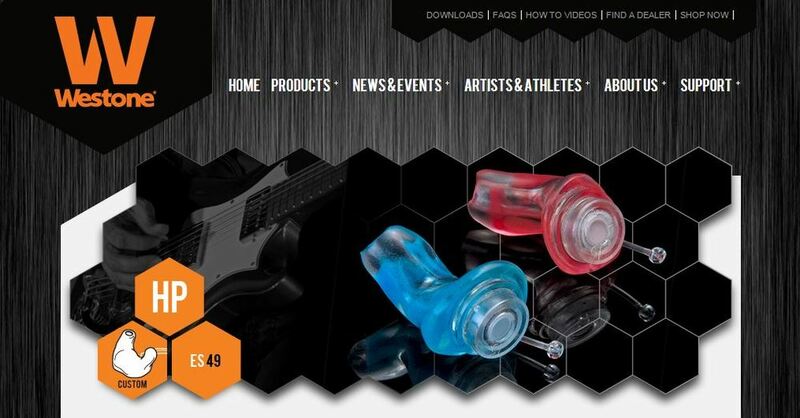 Anyway, I was talking to my friend Jeremy Crites, lead guitar player for The Dixon Ulmer Band, about hearing protection, and he recommended the Westone ES49 custom hearing protectors. They're small, unobtrusive (assuming you don't choose one of the zany colors they make), effective, and they cause minimal coloration of the sound. As I mentioned, these are custom hearing protectors, and as such, they're made specifically for the user. Today, I was "fitted" for a pair, which means they made an impression of each ear, just like having custom in-ear monitors or hearing aids made. If you've never done this, it's a kind of strange experience. First, they put a tiny wad of cotton on a piece of string into your ear, almost as far as it will go before it hits something important. Then, they mix up some pink RTV (the kind that ends up like a hard sponge rubber once it's set) and squirt it into your ear with a big syringe. Once they've done this, you can't hear much of anything, except for the rubber squirming around as it hardens, your own blood pumping, whatever other random sounds your brain happens to produce, and in my case, the noise du jour of the tinnitus. After about five minutes, they wriggle the rubber out of your ears, pop the impressions into a box, and ship them off to Westone in Colorado Springs. I'm really excited to be getting these. I ordered inserts for a 15db reduction in sound level, and should I desire, I can also get 9db and 25db inserts later. They also ship with inserts that completely block sound, which will be great for things like cutting the grass, or working in the wood shop. And, there are third-party companies that make transducers that plug onto the ES49s so they can be used as custom in-ear monitors, though I have read that they're not as good as purpose-made in-ear monitors. I should get the hearing protectors the first week of November. I'll be sure to follow up once I have them.